The caller seeks immediate payment of a tax bill over the phone. GARDAÍ ARE WARNING of a telephone scam where someone claiming to be from Revenue seeks immediate payment of a tax bill over the phone. 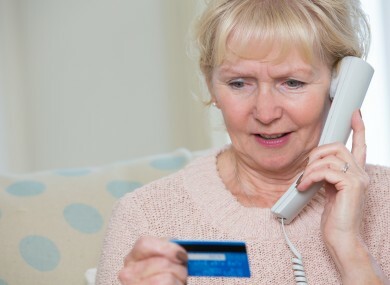 The caller may also instructs people to call another number and give their credit card details. Gardaí say this is a scam and the caller is not from Revenue. Officers are reminding the public to be wary of any contact from an unsolicited source, whether it is by telephone or email. Do not give out your credit/debit card, bank account, or PPS Number to anyone who makes contact with you over the phone. An Garda Síochána, Revenue, nor any Financial Institution will ever call you and ask for your PPS number or bank account details. If a member of the public receives a call from anyone requesting any personal or financial information, they should end the call and report the matter to their local garda station or to the garda confidential line on 1800-666-111. Email “Gardaí warn of telephone scam where caller claims to be from Revenue ”. Feedback on “Gardaí warn of telephone scam where caller claims to be from Revenue ”.